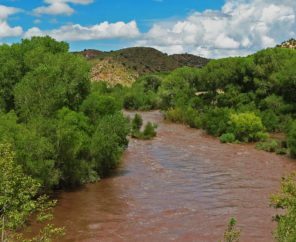 This guide provides information for state governments, water managers, and other stakeholders to use in preparing for the consequences of hotter temperatures, more variable and volatile precipitation events, and rising seas. By undertaking climate preparedness planning, states can better manage the impacts of climate change and protect the well-being of residents, communities, the economy and natural resources. Fourteen different extreme weather events, including widespread drought and massive flooding, each caused damage of more than $1 billion in 2011. In 2012, scorching heat brought drought conditions to more than 65 percent of the country and contributed to large wildfire outbreaks in the West that burned more than 9.2 million acres. Severe storms and tornadoes also ravaged large swaths of the country. Additionally, in late October 2012, Superstorm Sandy devastated communities along the northeastern seaboard with record-breaking storm surges and historic flooding. In total, 11 extreme weather events in 2012 had costs exceeding $1 billion each. Moreover, 2012 was the hottest year since record-keeping began in the U.S. in 1895, As climate change increasingly fuels extreme weather, this trend of more extreme and record-breaking climate events shows no signs of abating. Many extreme weather events as well as warmer temperatures, changing precipitation patterns and rising sea levels are expected to intensify as climate change continues. These deviations from historical climatic norms are affecting our communities and natural resources by threatening public health, affecting water availability and quality and energy production, placing vulnerable homes and infrastructure at risk, and jeopardizing vital ecosystems and habitats. To address these challenges, more than 35 states have conducted planning to reduce the carbon pollution that contributes to climate change. 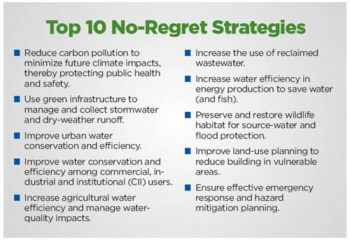 Despite these efforts, however, states already are experiencing the impacts of climate change and will need to plan and prepare for the wide-ranging consequences of increasingly warmer temperatures, variable precipitation patterns and higher seas. 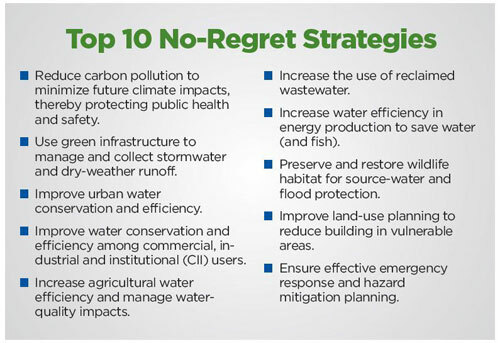 To date, only 10 states have developed comprehensive plans to prepare for these climate-related impacts. Remarkably, most other states are not planning and remain ill-prepared for the challenges of climate change both now and in the years ahead. 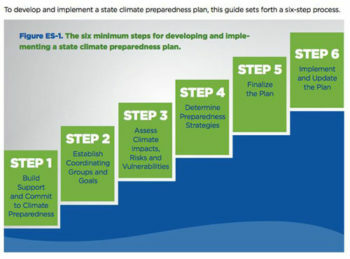 States can use the six-step process in this guide to comprehensively plan and prepare for the water-related impacts of climate change. 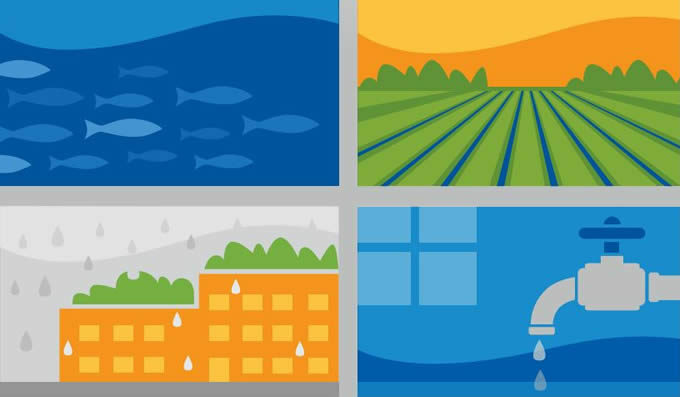 Although this guide focuses exclusively on climate impacts related to water, non-water impacts also will have wide-ranging ramifications for people, communities and ecosystems and must also be considered in climate preparedness planning. Climate impacts will vary by region, and the strategies and resources available to manage these impacts will be shaped and limited by existing state laws, policies and resources. 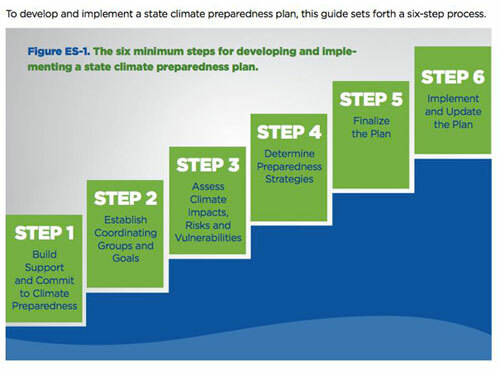 Accordingly, the process for developing a state climate preparedness plan contained in this guide is divided into three different tracks: Basic, Moderate and Robust. States can follow a single track throughout the planning process or choose to follow different tracks for each step. Additionally, specific examples are included to illustrate how some states have conducted their planning process. The most important message is that all states must start the planning process now. The signs of a changing climate are already being seen, and continued delay and inaction will only magnify the impacts and the cost of addressing them.